Save by combining your flights and accommodations. Expedia has some amazing South Melbourne holiday packages that'll simplify things and give you more cash to splash! Receive savings of up to 55%* with a package deal on Expedia. Our enormous database allows you to search more than 321,000 properties worldwide and 400 partner airlines. With such a great range of options, creating your dream holiday will be easy! Getting ready to head off on your South Melbourne holiday? Not sure what sort of things to add to your travel programme? No need to fret — we're here to give you a few pointers. South Melbourne is full of things to see and do, but one of its greatest perks is that it's not too far from the Crown Casino and Entertainment Complex. You'll want to spend stacks of time here, so staying nearby is a big bonus! An action-packed day of sightseeing can really take it out of you. Luckily, you won't have to travel far to reach SEA LIFE Melbourne and the National Gallery of Victoria. These conveniently located attractions are sure to impress! Grab your favourite read, look for a cool spot and soak up the natural garden breezes at Royal Botanic Gardens. There's an excellent range of things to do in this destination. Find out about tours at St Paul's Cathedral. While you're here, why not take a minute to sit and reconnect with your spiritual side. Still got some time on your hands? The intimacy and accomplishment of theatre is not to be missed. Purchase your ticket for a show at Forum Theatre and experience the magic for yourself! Life is either an amazing adventure or nothing at all, so why not jump into some new and memorable experiences? Head to our South Melbourne things to do page for a full list of activities. 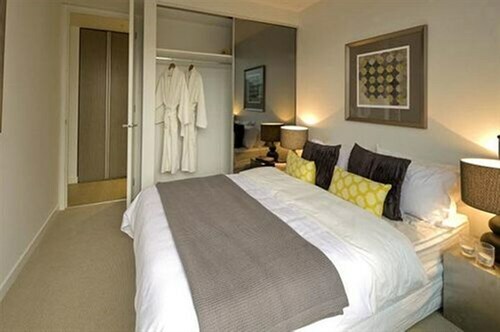 Whatever sort of accommodations you're looking for, South Melbourne can deliver the goods. With 139 properties to pick from, you're certain to find one that's ideal for your luxury getaway or cheap holiday. There's no need to blow all your budget on a place to rest your head. You'll find cosy beds with an affordable price tag at the Vibe Savoy Hotel Melbourne (630 Little Collins Streets) and the Urban Central Accommodation - Hostel (334 City Road). You'll have a few first-rate hotel options at your fingertips too. Inject some luxury into your trip when you reserve a room at the Anchor on Collins (325 Collins Street) or the Cityviews 3 Bedroom (180 City Road). South Melbourne is a terrific place to stay if you're eager to be in the vicinity of the Crown Casino and Entertainment Complex. The Crown Towers and the Cityviews 2 Bedroom are both a short stroll away, so reserve your room today for a convenient place to rest your head. All ready for your trip to South Melbourne? Hoping to a catch a flight? Get ready to walk out into a crowd of smiling faces at Tullamarine Airport (MEL). The terminal can be found 13 miles (21 km) northwest of the town centre. 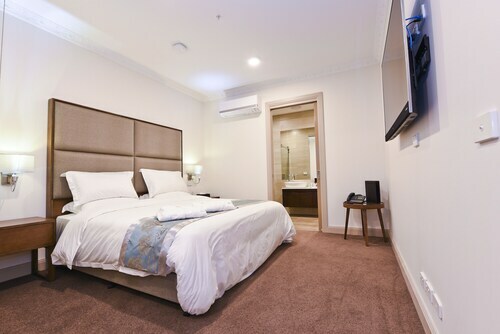 Situated in the entertainment district, this aparthotel is within a 15-minute walk of South Melbourne Market and Melbourne Convention and Exhibition Centre. SEA LIFE Melbourne and Eureka Tower are also within 1 mile (2 km). Spencer Street Station is 22 minutes by foot and Flinders Street Station is 25 minutes. Situated in the business district, this motel is within 1 mile (2 km) of Toorak Road, Royal Botanic Gardens and Melbourne Arts Centre. 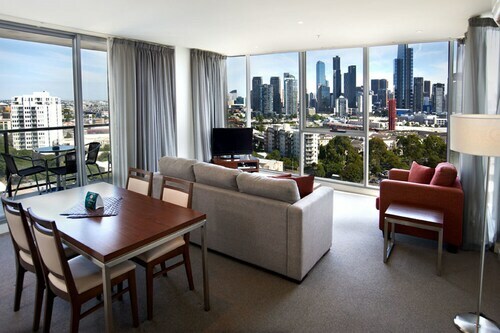 Eureka Tower and Melbourne Convention and Exhibition Centre are also within 1 mile (2 km). South Yarra Station is 30 minutes by foot and Flinders Street Station is 29 minutes. 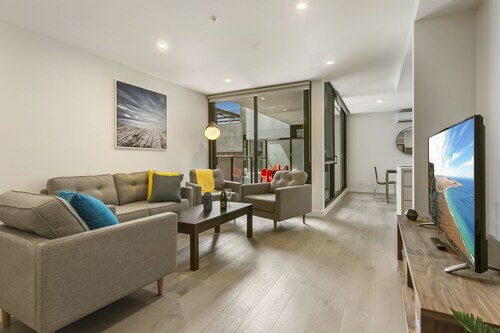 This family-friendly South Melbourne apartment building is located in the entertainment district, within a 15-minute walk of Shrine of Remembrance and Royal Botanic Gardens. South Melbourne Market and Eureka Skydeck 88 are also within 1 mi (2 km). Flinders Street Station is 20 minutes by foot and Richmond Station is 29 minutes. Situated on the Strip, this luxury apartment building is within a 15-minute walk of St Kilda Road, Royal Botanic Gardens and Shrine of Remembrance. Melbourne Arts Centre and Eureka Tower are also within 1 mile (2 km). Flinders Street Station is 25 minutes by foot and South Yarra Station is 26 minutes. Situated in South Melbourne, this hotel is within a 15-minute walk of St Kilda Road and South Melbourne Market. Melbourne Convention and Exhibition Centre and Albert Park Lake are also within 1 mile (2 km). 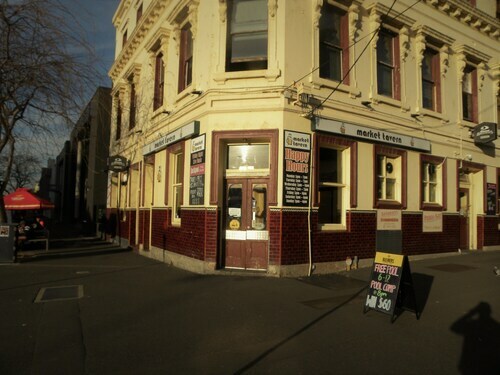 Situated in the historical district, this hostel is within 2 mi (3 km) of South Melbourne Market, Royal Botanic Gardens and Marvel Stadium. South Melbourne Beach and Melbourne Central are also within 2 mi (3 km). Spencer Street Station is 24 minutes by foot and Flinders Street Station is 28 minutes. 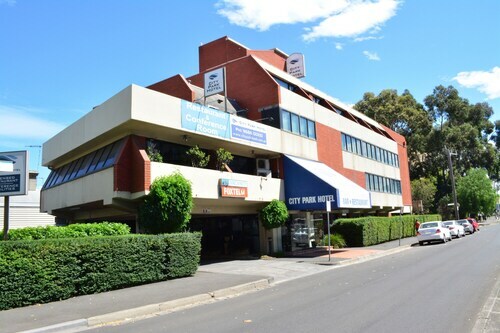 Situated in the business district, this guesthouse is within 1 mile (2 km) of Toorak Road, Royal Botanic Gardens and Melbourne Convention and Exhibition Centre. Melbourne Arts Centre and St Kilda Road are also within 1 mile (2 km). 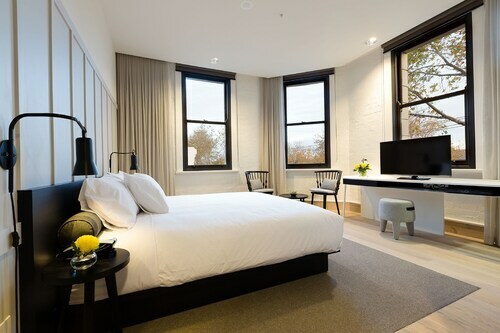 Situated in South Melbourne, this hotel is within a 15-minute walk of South Melbourne Market, Melbourne Convention and Exhibition Centre and St Kilda Road. SEA LIFE Melbourne and Eureka Tower are also within 1 mile (2 km). Spencer Street Station is 23 minutes by foot and Flinders Street Station is 26 minutes.